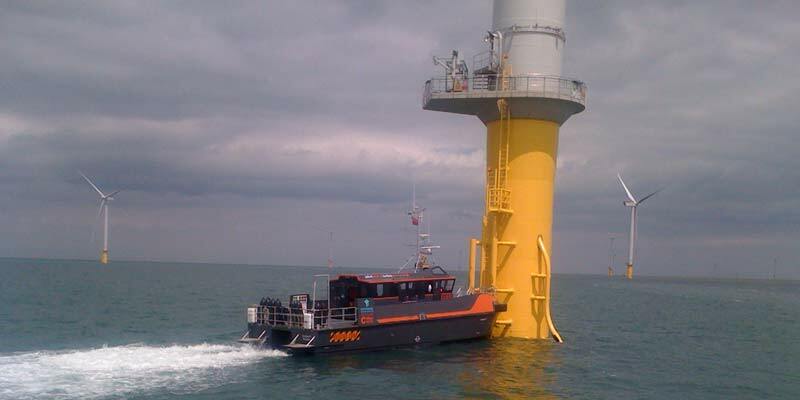 Safety and Survival Systems International (3Si) provides a complete portfolio of global marine safety products and services to support the offshore and renewables industries. 3Si has decades of combined industry expertise and is positioned as a globally trusted provider by leading manufacturers and brands in safety products. The company is committed to serving its customers with expert advice and solutions, from simple supply, to bespoke products and systems. All products are fully supported by the company’s global service network. The Ocean SOLAS commercial liferaft range is approved by SOLAS and MED Ship’s Wheel and is manufactored under the ISO 9001-accredited quality system. It has been developed by Ocean Safety to ensure its durable quality, with lower liferaft ownership costs. The range includes davit launch, self-righting, throw-over, open-reversible and compact models, to suit customer’s specific requirements. 3Si also provides advice on bespoke solutions from cradle assembly to complete release systems. United States Coast Guard (USCG) / SOLAS regulation liferafts and inflatable buoyant apparatus (IBAs) are available in a range of sizes to suit all applications and installations, including the space-saving low-profile version. The USCG range is supported by Revere’s global service network. The firm is constantly working to increase personal safety and is well aware that lifejackets need to be worn for long periods of time, often over large overalls. This is why the group develops products that are suitable for constant wear and can be fully integrated with automatic identification systems (AIS). 3Si supplies a wide range of lifejackets, including SOLAS and workwear options. 3Si Group company Typhoon International has more than 70 years of technical expertise in the manufacture of long-lasting dry and survival suits that are designed to be used in adverse conditions. The suits include SOLAS-approved variants, which all feature the latest material technology and are designed to increase the chances of survival at sea. The company’s in-house manufacturing capability enables flexibility when designing products and is able to produce marine workwear according to a customer’s precise needs. This includes made-to-measure dry suits or extras such as pockets, custom zips and logos. 3Si offers a selection of electronics, including handheld devices and on-board systems from the world’s leading brands. This can take the form of simple supply to full product integration. Personal AIS and personal locator beacons (PLB), to category one cables (CAT 1) and category two cables (CAT 2), are fully supported by the firm’s global service network. 3Si’s safety products are supported by a network of global service stations that operate with a flexible approach to customer service, offering competitive solutions and product expertise in safety and survival. 3Si service a wide range of products, including liferafts, lifejackets, survival suits, EPIRBs and man overboard systems. The company’s liferaft hire division and fully managed servicing plans are designed to find a solution to suit every customer. 3Si allows for a reduction in operation costs, as well as cost predictability, while it also offers assurance that liferafts are up to date, serviced and in-line with industry regulations. The company provides liferaft hire, exchange and fully managed servicing plans, which covers a full range of Ocean SOLAS commercial liferafts, including 130-person covered and open-reversible models. Ocean Safety Ltd is preparing the fishing community for important changes being introduced following findings by the Marine Accident and Investigation Bureau (MAIB) from a number of recent accidents at sea. Safety and Survival Systems International (3Si) and its group companies are trusted providers in the global marine safety market, grounded in more than 200 years of experience. 3Si Group, Ocean Safety, has introduced a new range of updated Kru lifejackets, which are much more comfortable than previous ranges. 3Si Group subsidiary Ocean Safety will be showcasing its most recent superyacht safety systems at the METS show, which is taking place between 14-16 November in Amsterdam, The Netherlands.